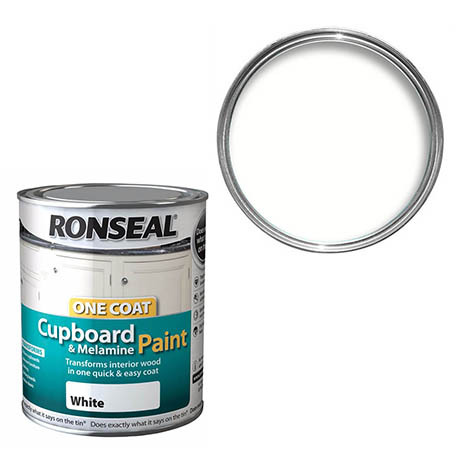 Ronseal One Coat Cupboard & Melamine Paint is the perfect solution if you want to update your kitchen without the cost of getting a new one. Easy to apply with just one quick and easy application, the paint can be used on kitchen cupboards, drawers, interior doors, skirting boards and bedroom furniture. The paint dries to leave a water resistant and brush mark free finish and is tough enough to stand up to scuffs and scrapes.